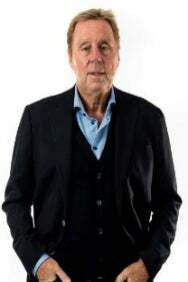 We do not curently have theatre tickets available for An Evening with Harry Redknapp. This could be because we have simply sold out or it could be that this show is no longer running. The information on this page remains purely for historical and informational purposes. Get Me Out of Here!& and famous football manager will be telling stories from his football days and his time in the jungle. Expect a hilarious evening, Harry is a great raconteur and has a wealth of fascinating and hilarious stories with an audience Q&A at the end of the evening.